Our hens selected to produce Eggland’s Best Cage-Free, Grade A, Brown Eggs (Large) are not kept in cages and are free to roam. They enjoy sunlight, shade, shelter and are protected from predators. The hens are fed a wholesome diet of all-vegetarian feed that does not contain hormones, antibiotics or steroids and no animal by-products, recycled, or processed foods. 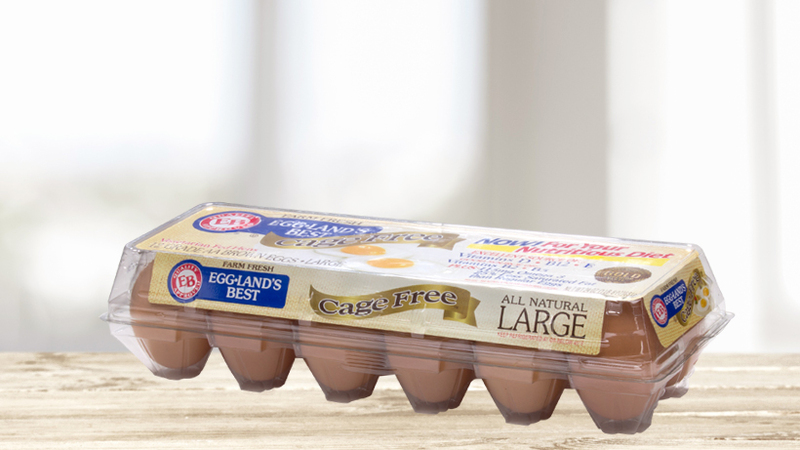 Eggland’s Best, Cage-Free Brown eggs are sold in 100% recyclable plastic cartons.